How much money was spent on cannabis during legalization day? Cannabis stocks are rebounding Thursday, gaining after a lackluster day Wednesday, as Canada’s recreational marijuana legalization looks to be off to a good start, and as two Canadian pot producers seek listings on the New York Stock Exchange. Day one of recreational sales "appears to have been a success highlighted by the long lines and enthusiasm from shoppers," GMP Securities analysts led by Martin Landry told clients in a note, adding that "seeing cannabis shoppers wait in lines as opposed to take the traditional easy illegal supply route is refreshing and bodes well for the recreational market in Canada." Separately, Aurora Cannabis Inc. and Aphria Inc., the third- and fourth-largest Canadian pot companies by market value, got a boost on their plans to list shares on the New York Stock Exchange. Aurora plans to list its over-the-counter shares next week to start trading under ticker ACB, while Aphria also filed its intentions with the SEC. 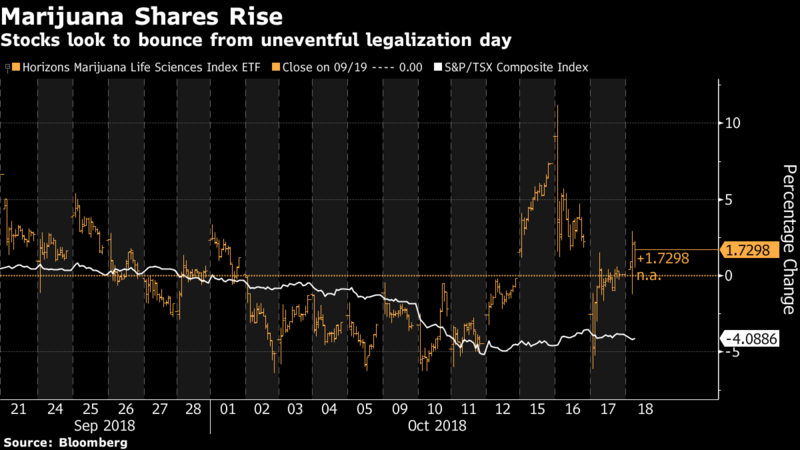 Canada’s Horizons Marijuana Life Sciences ETF rose as much as 2.8 per cent on Thursday after losing just under 7 per cent in the prior two days. Stock gainers include Delta 9 Cannabis Inc. which rose as much as 26 per cent intraday, followed by Aphria Inc. up as much as 6.7 per cent. Aurora gained as much as 5.8 per cent. Under GMP’s stock coverage, Aurora stood out as containing “significant [products] available and generally strong pricing. We were surprised by the low number of SKUs from Canopy in both Quebec and Ontario, however, we have no visibility on the depth of the inventory,” Landry noted. 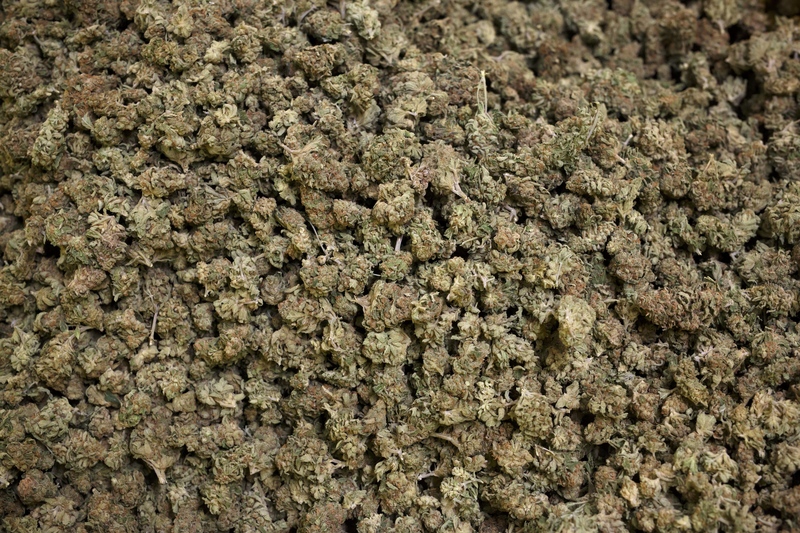 -MPX Bioceutical Corp. hit a record intraday, up 30 per cent after signing a merger transaction with iAnthus Capital Holdings Inc.
How long do you think it will take for pot supply problems to be fixed?